With one of our favorite – and now hometown – events just a week away, we couldn’t help but reflect on the incredible year we’ve had since our debut at the 2015 New England Boat Show. We've onboarded more than 250 marinas while expanding internationally, added features and removed boater booking fees, partnered with BoatUS, met thousands of boaters from around the world, and even raised some cash to keep the wind in our sails. Thank you to all of our marinas, boaters, and partners for your support! 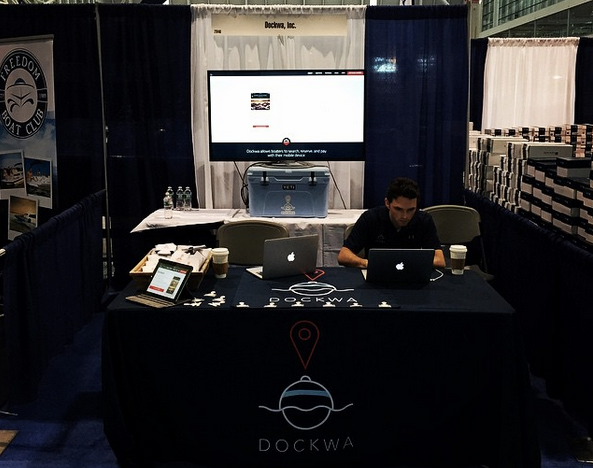 If you’re heading to the 2016 New England Boat Show, stop by and meet the Dockwa team at Booth #161. We’ll happily answer your questions, help you make the most of the site, and share how you can help get your marina or yacht club on board. You can also enter our Yeti Tundra 65 cooler giveaway and pick up some Dockwa swag. If you can’t make it to the show, you can follow along as we post, tweet, and share photos of some of our favorite #NEBoatShow moments.